Do you notice hyper pigmented areas on your skin that you can’t get rid of? Stop worrying about those dark spots and use remedies and treatment options served by Pigmentation Treatment Dubai. Our skin has pigment producing cells called melanocytes that produce a pigment called melanin. If the melanocytes are damaged or unhealthy, there can be over or under production of melanin resulting in hyper pigmentation or hypo pigmentation of the skin. Raw potatoes contain an enzyme called catecholase that helps in inhibiting the melanin production. Take clean raw potatoes, wash them, cut them into slices and rub them on the pigmented areas for 10 minutes then wash with lukewarm water. Repeat 3,4 times a day. Lemon juice contains citric acid and vitamin E that is an anti oxidant. It inhibits melanin production and protects from UV rays of sun. take lemon juice mixed with honey and apply on pigmented skin for 15 minutes them wash with lukewarm water. Yogurt contains lactic acid that is an anti oxidant and protects skin from damages caused by harmful radiations. Take a tablespoon of yogurt and apply for 15 minutes then wash with lukewarm water. Tomato helps in exfoliating your skin and protects it from UV rays of the sun. take tomato paste mixed with lemon juice and apply on affected area for 10 minutes then wash with lukewarm water. Onion is also rich in vitamin C and an excellent antioxidant. Take a slice and rub it for 10-15 minutes then wash the area with warm water. Sandalwood is a blood purifier and helps reduce the pigmentation by purifying the blood and skin. Make a paste of sandalwood powder with rosewater and apply on the area. Oatmeal helps in exfoliating the skin. It is an excellent scrubbing agent. Take oatmeal and mix it with milk to make a paste and apply on the skin. Aloe Vera has protective effect and protects the skin from harmful uv rays of the sun. Take aloe Vera serum and apply it to he hyper pigmented area. Papaya helps in the growth of healthy cells and removal of dead and hyper pigmented cells. Take a paste of papaya mied with lemon juice and apply on the hyper pigmented skin to see the results. Turmeric is an ancient ingredient to keep skin healthy and fresh. People have been using turmeric for its vast benefits for the skin. Make turmeric paste with rosewater and apply on the hyper pigmented skin for 10-15 minutes to see the results. Home remedies can be very helpful in treating the hyper pigmented areas on the skin. Although if these remedies don’t work, there are medical and surgical treatment options. You should always consult your dermatologist before using any method. Pigmentation treatment Dubai provides consultancy and professional assistance in helping you choose the right method to cure your skin and remove any kind of hyper pigmentation. We have a team of highly professional and skilled dermatologists and cosmetic surgeons that guide you to get a perfectly healthy and glowing skin. Also read related article effects of pigmentation treatment on dark skin. 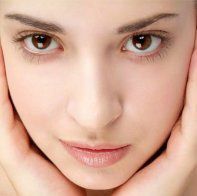 How to Get Rid of Pigmentation on Face Quickly? You Don't want to Miss Our Offer on Pigmentation Treatment . Fill in The Form To Avail Our Special Offer For You!